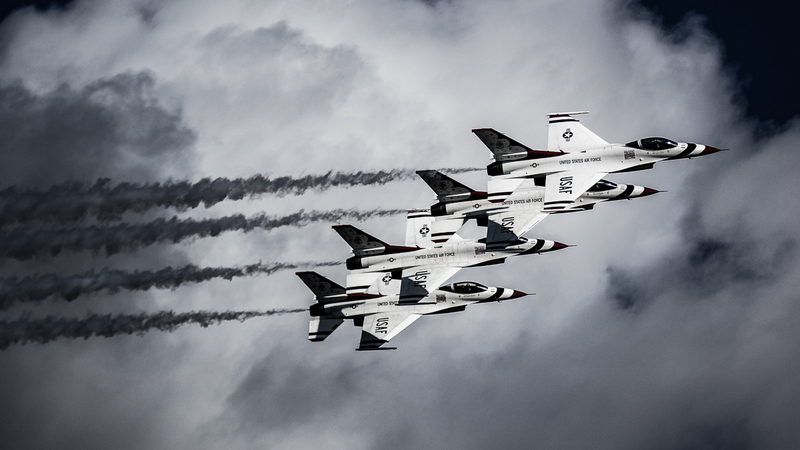 The United States Airforce Thunderbirds flying in formation during the 2017 Wings Over Houston, Houston, Texas, USA. One of my favorites in the challenge. A great capture! Not sure I like what you did with the colors though. I have to read the exif on this shot! Is this really "better" without colour? Great picture - I'm just not sure why you chose the colour treatment that you did. Proudly hosted by Sargasso Networks. Current Server Time: 04/18/2019 08:18:38 AM EDT.